Choc bombs at the ready! We’re puffing-up our bean bags for another big season of Telethon Community Cinemas, which is back for another year to entertain thousands of WA families and raise more vital funds for those doing it tough. Telethon Community Cinemas is Perth’s family-friendly, affordable outdoor cinema, proudly donating all profits to charities dedicated to improving the quality of life for kids in health or physical ability crisis. Last season alone, Community Cinemas raised more than $816,000 across all screening locations – with the generous support of over 700 volunteers – which means Community Cinemas has now raised more than $8 million for those in need across WA. As a WA born and bred energy company, we’re keen on staying active in our local communities and getting behind such a worthy cause for another year is a great way for Kleenheat to keep supporting the community that supports us. 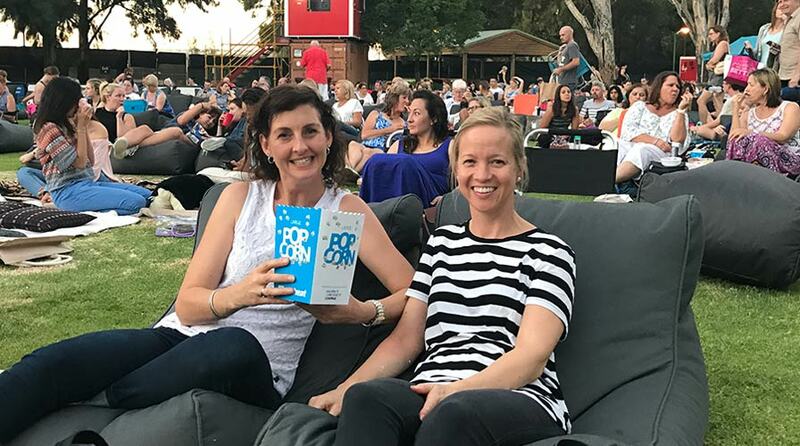 Here’s to plenty of balmy nights for the 2018 Telethon Community Cinemas season, when WA moviegoers can again enjoy their favourite flicks under the stars and help grow the fundraising tally even further. To celebrate another big year of outdoor movies ahead, this month we’ve got 14 double passes to Telethon Community Cinemas up for grabs to Kleenheat customers. Competition is exclusive to Kleenheat customers, closing 11:59pm on Thursday 7 December 2017. I love that the Community Cinemas” Movie Mania raises money for Telethon – plus the evenings are so much fun and relaxing.